It is too late to arrange a flu vaccination, the Direction Générale de la Santé has told Connexion, as the seasonal epidemic has now been declared in all regions and the jab needs 15 days to take effect. Today is also the last day that anyone who is eligible for a free vaccination due to age or health problems is able to pick one up in the pharmacy. More than 1,000 people were hospitalised with seasonal flu across France last week and the illness has reached epidemic levels in all 13 regions, and peak levels are expected in the next two weeks. There are several different viruses according to the centre national de reference sur la grippe, with strains H1N1 and H3N2 the most common. 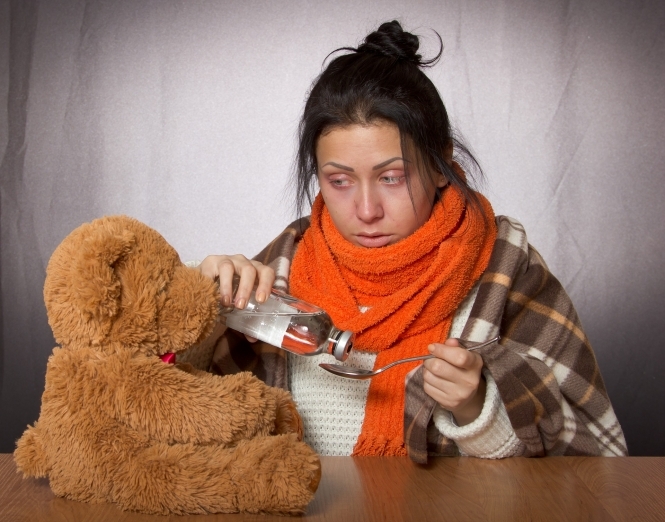 If you think you have flu, only consult your doctor if you are pregnant, you think your baby has flu, you are over 65 years, have a chronic illness, have an immune deficiency condition, have a high temperature (more than 40°C) and unusual symptoms for flu such as difficulties breathing, coughing up blood or bad smelling phlegm, diarrhoea and dehydration, difficulty keeping conscious, a fever which returns after getting better, no improvement after 72 hours or a rapid deterioration. Otherwise, rest, drink fluids regularly, wear light clothes and avoid heavy duvets as you need to perspire and avoid a high temperature. Take paracetamol to ease muscular and joint pain. Four remedial actions were underlined in the government’s national campaign to avoid passing on the virus, which was launched on January 14 and continues until March 3. Wash your hands frequently, sneeze into your elbow rather than into your hands, use a tissue once only and if you have flu-like symptoms wear a disposable mask, particularly if you are in contact with elderly, young, pregnant or immune deficient persons. The virus is transmitted by coughing, sneezing, saliva, hand contact, touching an object already touched by a contaminated person, and also just through the air we breathe, particularly in a closed room. The government says the vaccination scheme is not yet being taken up by enough people who are most at risk. Figures for November 2018 showed that by the end of that month just 42.9% of those who had received a coupon offering them a free vaccination had taken up the offer. It is estimated that 2.5 million catch the virus each year and that between 4,000 and 6,000 people die from flu in an average year. More than 90% of deaths are among the over 65 year age group.